Strikingly beautiful guests, tantalizingly hot DFMOs, Shazam-worthy playlists, and endlessly-flowing libations are no longer a thing of daydreams, college nights, and rom-coms past. 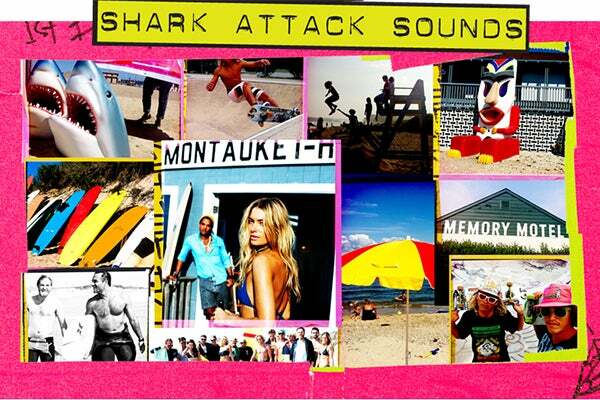 Nay, you'll be singing man, I love college my life at the 11th Annual Shark Attack Sounds party, going down a week from today on Friday, July 5, at Montauk Yacht Club Resort & Marina. With lots to live up to after last year's epic rager, legendary party-throwers Ben Watts, Jeffrey Jah, and Mazdack Rassi — yes, this party is so major it calls for three co-hosts — are promising an event that will surely blow everyone out of the water. Last year's Crabby Cowboy Café bash included blow-up shark dolls, neon-taped speakers, a disco ball, and so much more, which means we can't even begin to imagine what the trio has in store. So celebrate Independence Day against the backdrop of the luxurious Montauk Yacht Club. A stellar 3000+ guest list — superstars Naomi Watts, Alessandria Ambrosia, and Dree Hemmingway will all be in attendance — DJ sets by Chelsea Leyland, Zen Freeman, and Carl Kennedy, plus a very stomach-able entrance fee of $46 means there's no need to hesitate. Just grab your ticket and dive right in! When: Friday, July 5, 6 p.m.
Where: Montauk Yacht Club Resort & Marina, 32 Star Island Road, Montauk; 888-692-8668. Photo: Via Shark Attack Sounds.